Follow the prompts to enter the DARM. 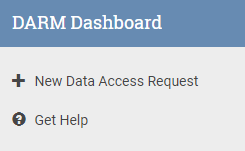 On the main dashboard, click on “New Data Access Request” in the top left corner of the page. 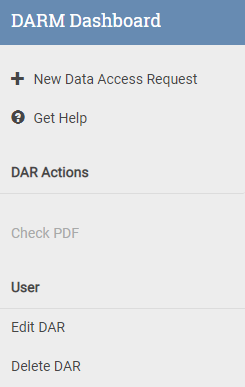 You will then be directed to the Data Access Request Form. Fill out the form with the appropriate information. Additional information about the submitting an application can be found on the Application Instructions page. Please Note: you will need your institutional Signing Official’s eRA commons ID to proceed. 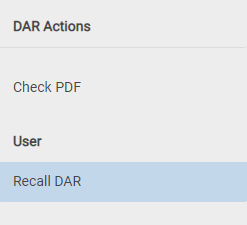 After filling in the form, there are three required documents to upload with your DAR. All documents must be in PDF format. At the bottom of the Data Access Request is the Data Use Certification agreement. By checking the box at the bottom of the page, you are agreeing to the terms outlined in the Data Use Certification document. Once your application is complete and the appropriate documents have been uploaded, click submit. Optionally, you may save a draft of your application and return to it at a later date. 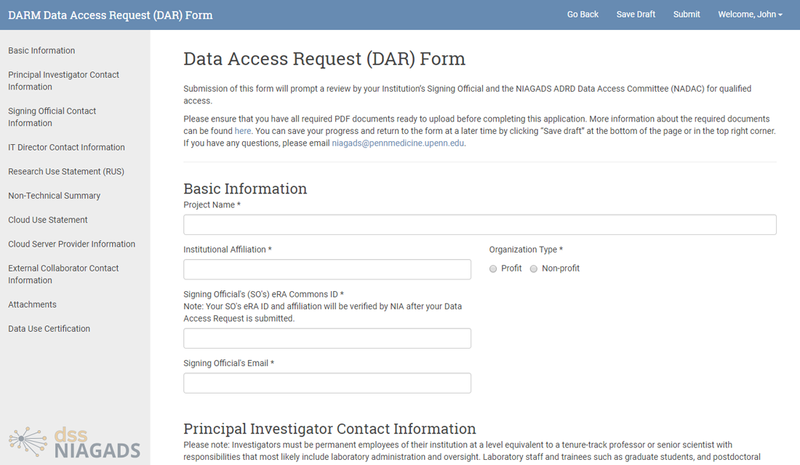 You can view the status of your application at any time by logging into the DARM with your eRA Commons login information. Once your application is approved, it will move to “Completed Applications” on the dashboard. 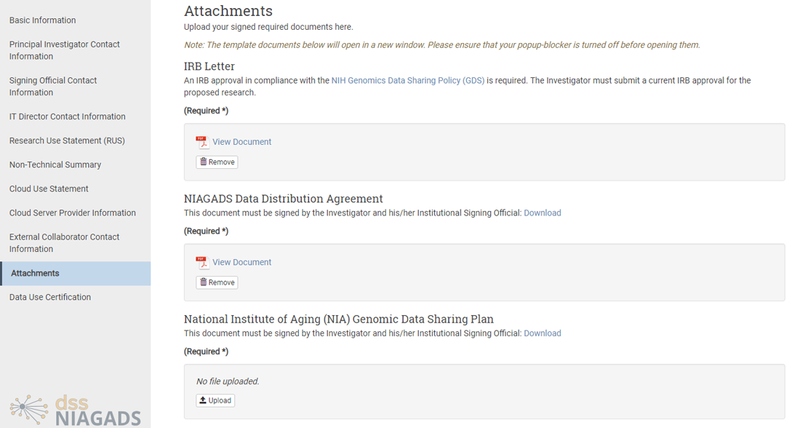 Once a new Data Access Request has been initiated, the Principal Investigator may edit or delete the application before submitting for NADAC review. Once the application has been submitted, the Principal Investigator can view a PDF version of the application. Once the application has been submitted, the only time the Investigator can recall the application is when it has been submitted for the Signing Officer to review, but has not yet done so. Once the application has been approved, the Principal Investigator can add and manage downloaders. You can do so by selecting your application and clicking on “Manage Downloaders” in the left menu. Enter the eRA Commons ID of the internal collaborator you wish to add as a downloader. This will submit the request, and it will be verified by the NIH Administrator. 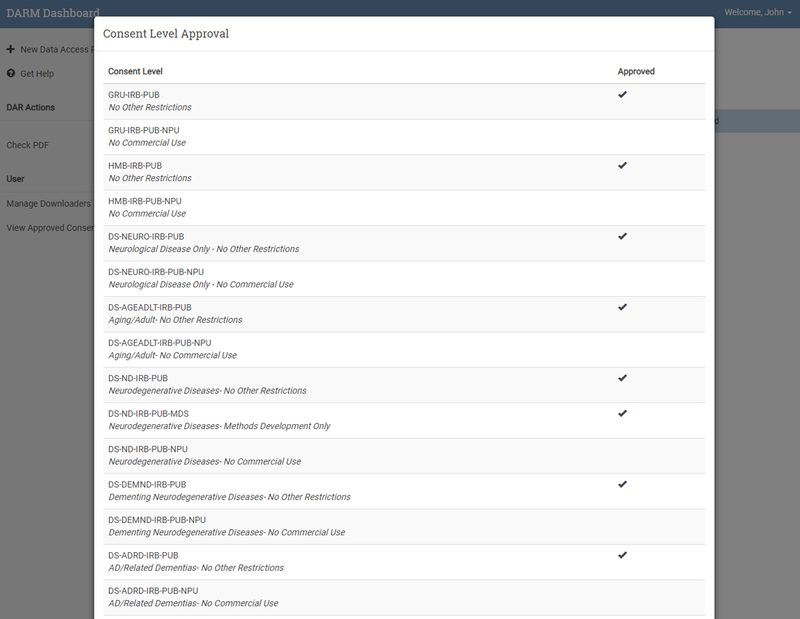 Once the application has been approved, you can view the consents levels you are permitted to access by selecting the approved DAR and clicking on “View Approved Consents” in the left bar.